We’re now in the Anthropocene period or the age of humankind. Scientists argue that this new era began around 1950 with the beginnings of nuclear bomb testing, the proliferation of disposable plastic items, the use of plastic generally and the population explosion. Plastic became popular because it was cheap to make things out of. In the 50s, people bought plastic items because they wanted to keep up with the times, because it was (and is) cheap and because at the beginning of the age of plastic we were ignorant about its impact on the environment. Every year we produce 300 million tonnes of plastic, roughly equivalent to the weight of the human population on Earth. A lot of plastic waste has found its way into the world’s seas and oceans, via rivers and streams. Ships’ passengers and crew also contribute to the pollution of waterways. Plastic waste is dangerous for seabirds, turtles and other marine life – remember Lovelace the penguin in the 2006 “Happy Feet” film? He’s the not very intelligent penguin-guru that was slowly choking to death because he had a ring from a 6-pack stuck around his neck. In the film, he was rescued by humans and in much the same way, we’re now, rather belatedly, admittedly, attempting to clean up our act as regards pollution in general and plastic pollution in particular. The South Pacific Garbage Patch (between Hawaii and California) is due to be cleaned up by the Ocean Cleanup project, hopefully starting in 2020. Of course, thoughtless people discard plastic products virtually everywhere, not just in the sea but on beaches, in the countryside and wherever else we are. Landfills are full of it, but the problem with most plastic goods is that it takes hundreds of years for them to degrade. We are sinking in a sea of plastic. Just take a look around your home, plastic is everywhere; in your TV, your mobile phone, the furniture in your garden and you may even be wearing plastic if your clothes are wholly, or partially, made from polyester. Plastic comes in various guises, from the coating in tin cans to textiles. On 14 February 2017, the Telegraph newspaper reported that fly-tipping in the UK had reached ‘crisis levels’. That means that plastic (among other things) is being dumped illegally in the countryside. The Department for Environment, Food and Rural Affairs (DEFRA) and the Woodland Trust have to foot the bill for clean-up operations. So, money is being diverted from other services and environmental projects. With consumers becoming more aware of the disastrous effects garbage and plastic waste has on the environment, supermarkets are generally distributing environmentally-friendly bags which are biodegradable. At least this is a step in the right direction. Now you’re probably wondering, why we at Garçon Wines use plastic bottles for our wines. Let us reassure you. We offer a bottle made entirely from recycled PET. Furthermore, our bottles are completely recyclable and, because they are light, they are easy to transport meaning that carbon dioxide emissions are lowered. 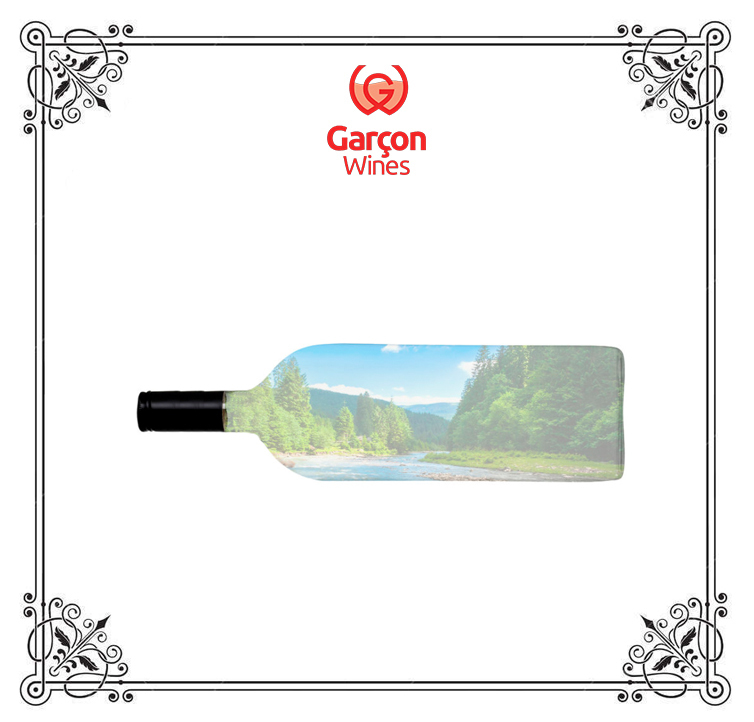 We, at Garçon Wines, are committed to raising the standards of recycling so that our carbon footprint is kept to an absolute minimum. We believe in and uphold a bright future.